After decades of disaster Henry VIII's third wife, Jane Seymour, finally gives him the son and heir he craves. But tragically she dies within days of childbirth, and Henry's joy turns to despair. Convinced to marry again, Henry chooses the German princess Anne of Cleves. But all he sees before the engagement is a painting, and in the flesh he finds Anne so ugly he becomes impotent. 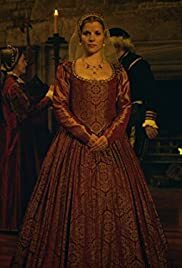 Now he must fight to escape the marriage, while his advisor Thomas Cromwell pays for the fiasco with his head.